Ever feel stranded ... ? Like - seriously stranded? Like you wanted to make something with so many strands, just strand after strand, dripping and shining and gleaming ... well - our multistrand clasps are da bomb - which is a good thing. What is especially good about these new clasps in particular is that they are a friction fit, instead of magnetic, so they are not going to stick to your pliers, and they won't mess up your pacemaker! That is, if you have one. We have lots of new multi-strand clasps this week, and to make it easier to find, we've added a page with all the multi-strand clasps gathered together. In which case, you will probably be amused to find - we have multi-strand WOODEN clasps. We're not kidding about having it all. We have stuff you haven't even thought of yet! These are pretty cool too. Interchangeable earrings. Put beads on, and take them off. Open the frame at the hinge, slide the bead du jour on, and close it back up! In Circle, Ladder or Marquis shape. Not trying to influence y ou or anything, but the Marquis is the best, IMHO. 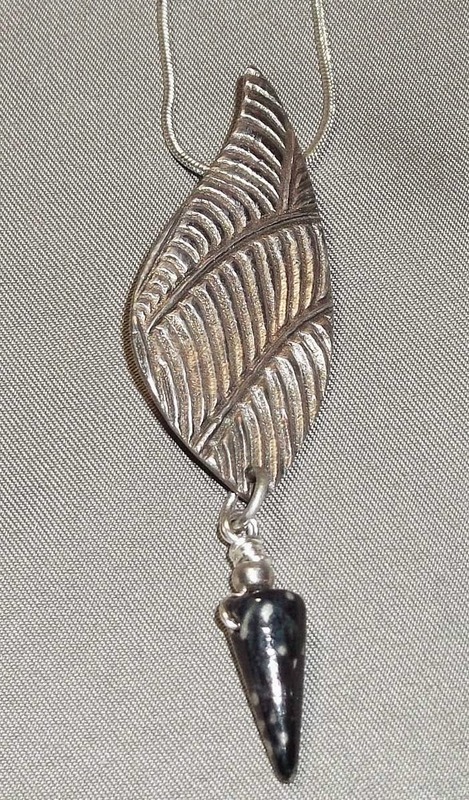 Looks awesome with one of the stone nugget beads. Still in love with leather? It's so gratifyingly easy to use and makes such nice pieces! New beads to fit the 10 mm flat leather - and the half-inch leather! Still on sale this week - Swarovski Bicones! From petite 3 mm to full-bodied 10 mm - bicones are the like building blocks of inspirationation! 30% off - Just 2 weeks - on sale until Mar 4! That's it for this week! Click on a link or an image to go directly to the items, or review all the new items here! Enjoy! Learning a new skill is good for your health! 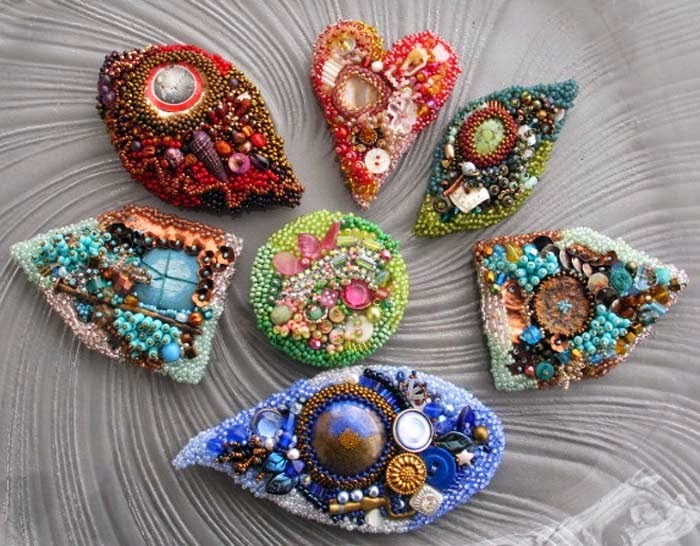 Did you know that crafting can reduce stress, build self-esteem and increase physical dexterity? In fact, recent studies from NYU and Harvard have shown that activities, including jewellery-making, can actually improve concentration, while enhancing health and mental wellness. 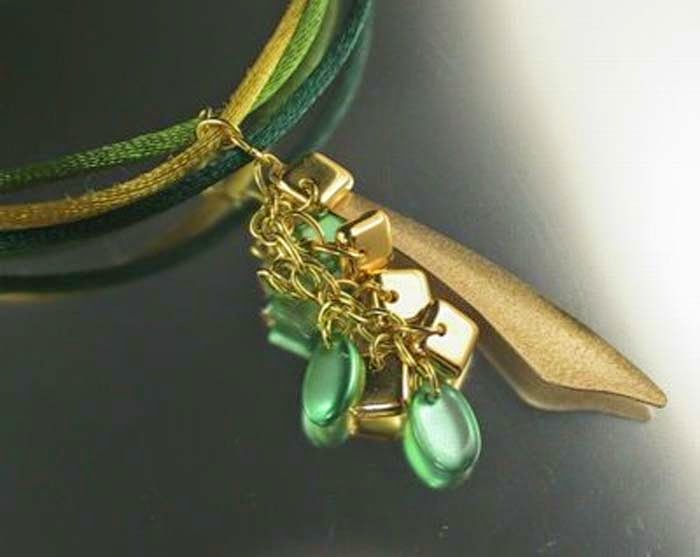 Since March is National Craft Month, there is no better time than now to try a new jewellery technique! A number of our instructors are offering NEW classes. 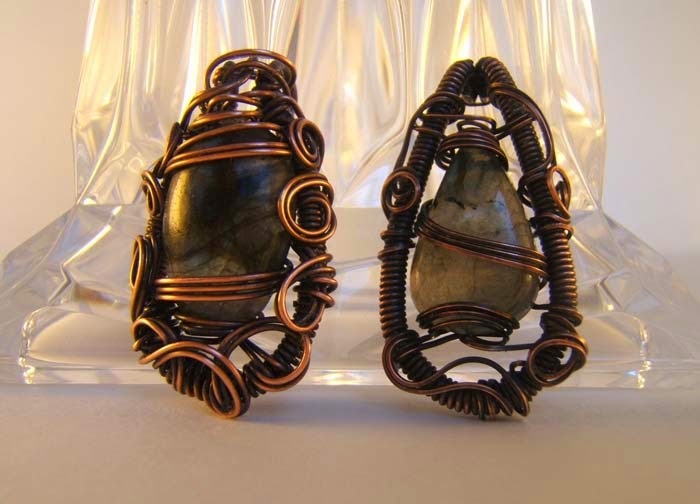 Wire-workers of all experience levels will love Jennifer Rosen's Coiled Pendant class. 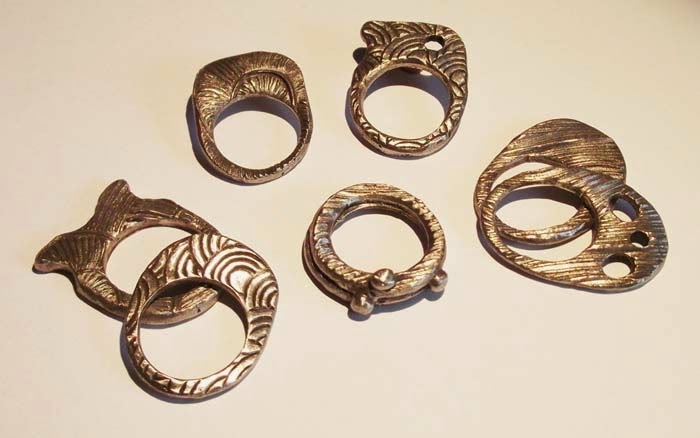 Bonni Poch gives us a new project with her Cellini bangle class - a great way to learn tubular peyote. 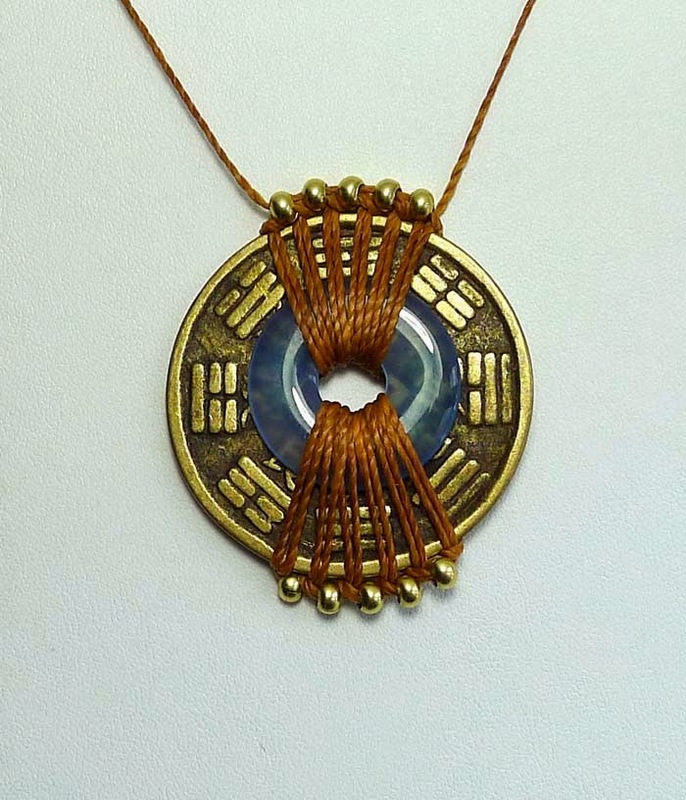 Students will learn right-angle weave in Sureka Sriharan's charm/pendant class. 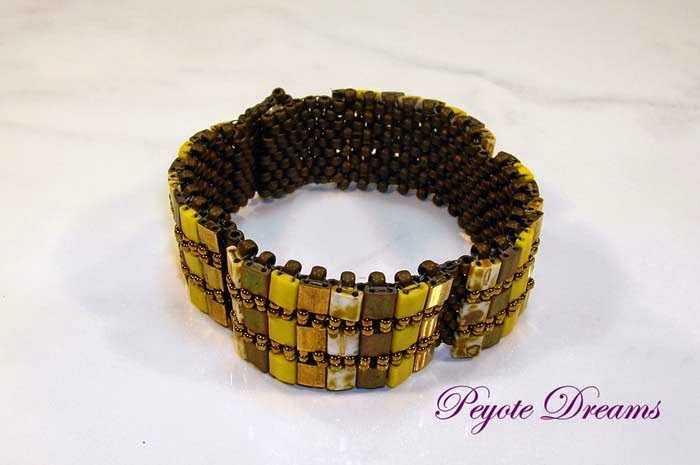 Intermediate beaders will learn how to embellish flat right-angle weave and odd-count peyote using Tila beads to creative a cuff that curves around your wrist with Pamela Kearns. 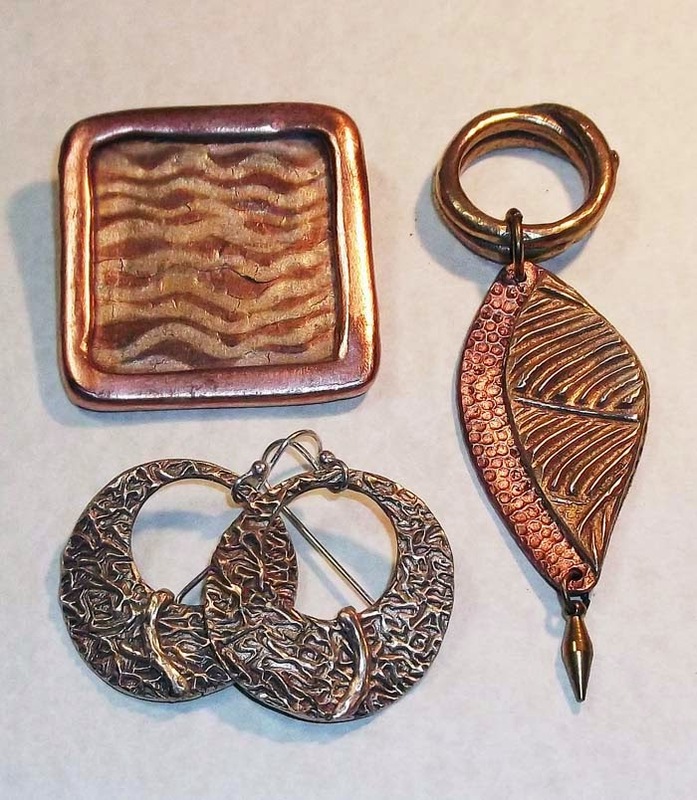 Metal clay lovers will learn how to use Hadar's Clays in Liz Reynolds' revamped Getting Started class. Liz has also added a second part to her class, Metal Clay Finishing. In the Getting Started portion, students will learn how to properly mix the powdered clay, work it and take it through to firing. In the Metal Clay Finishing class, Liz will take you through the cleaning and finishing process. 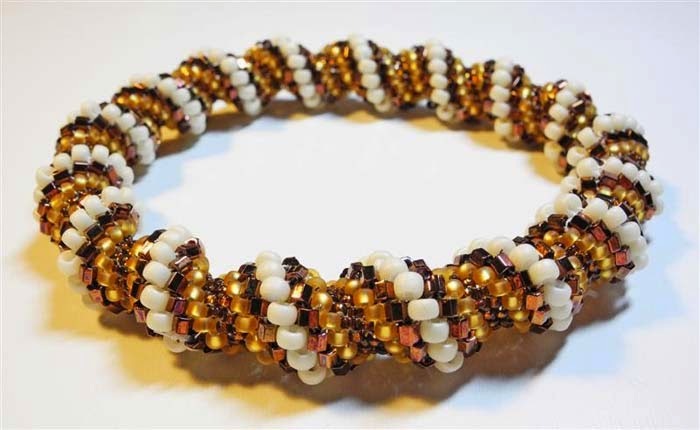 Gio Paz is back with something a little different - a Peruvian Wire Crochet Camp! Students can sign-up for a morning or an afternoon class and learn one project; or sign-up for the full day and learn two projects! Isn't it fun when you open a drawer and find something nice you had forgotten about? We found these in a drawer - Malliga thinks she made them when we were back in our old location! She just put them together with random beads - she "thinks" they might have come from an Auntie Gwen mix, or maybe just - you know - found where ever. I found a bead in the dog's water dish yesterday. Beads all over the place. We all live in a hoard of pretty, shiny, happy - stuff. The technique is hard to explain, but easy to do - because it's so free form and you just really make it up as you go along. There is a base of heavier wire, and the beads are wired on after with a lightweight wire. Just lots of wrapping and twisting and pulling tight. These desert-coloured Kazuri-style beads called out to the Unburied Treasures part of the store, they all met in the middle, added some copper wire, and this is the result of their meeting. This is a basic wire sculpture project – if you’re not sure what your squiggle will look like, take some scrap wire pieces and do a few samples, no plan, just use your pliers and squiggle away. When you have your basic shape for your squiggle, take enough wire for however much sculpture you are going to do, and do the sculpting bit with both wires at the same time. 1. Cut two pieces of wire about 6” long (if in doubt, more is better), and straighten them with your nylon-jaw pliers if need be. Make your wire squiggle in the middle third of the wire, both at the same time, side by each. If you want mirror images of your squiggle, you need to then identify which will be the left earring, and which will be the right. 2. Place the squiggle on the ceramic bead, hold down with your thumb, and bend the wire 90 degrees. Put the bottom wire up into the ceramic bead, fold the squiggle flat against the bead, so the bottom wire comes up through the ceramic bead. 3. Take the top third of your wire above the squiggle, and wrap it around the bottom wire sticking out of the top of the ceramic bead, trim off any excess. 4. Add your treasure beads. In this case, I didn’t add more wire design at the top, I just left enough to form a loop for the earwires. Trim the wire, make your loop, add your earwires and your treasure earrings are done! Tools used: nylon jaw pliers, roundnose pliers, flat pliers, cutters. Her name is Tricia. She’s a 48 year old lawyer. With a very decent income Tricia has a lot of disposable income however she isn’t a shopaholic. Tricia buys what she likes when she likes, she doesn’t shop as a hobby. She is a careful collector with a good eye. Tricia travels once or twice a year, to places that interest her, not resort type holidays. Since she’s busy with work, she doesn’t spend a lot of time on social media, a little facebook sometimes, and a lot of email. Susan is a 42 year old teacher and mother of 3. She’s busy. Her money is carefully spent and she is picky about where it is spent. She has a lot of gifts to buy as she has a lot of friends and she likes the gifts to have meaning. Susan uses social media a lot, mainly facebook and pinterest. Tricia and Susan are my “avatars”, 2 of them anyways. An avatar is an ideal customer, it’s putting a face to that sale. This is who I am targeting when I am selling my work. Knowing who you sell to is Step 2 of How to Sell Your Work. These are just brief introductions to who they are, I have a whole page about each of them. I gave them names because I think of them when I write descriptions and make decisions like attending a craft show or putting work in a store. Once you can nail down who you are selling to, the next step is to find where your people are and where they shop. Let’s talk about social media for a bit. It’s important, you need to be on it. But which ones? Should you do it all? Tumblr, twitter, facebook, pinterest, blogging and vlogging? Trying to do it all will kill you and leave you no time for actually making work. It’s better to do one thing well than 5 things badly. Pick one or two that you think your customers are actually using and try that. For me I know that Tricia and Susan don’t tweet, so why would I bother tweeting? Of course you can always meet new customers however with limited time I would rather try and approach the people who do like me and already know me than find new people and not have enough time to stay in touch with my current customers. If Tricia doesn’t tweet, chances are her friends don’t either. Some social media has a different demographic. For example, don’t bother using snapchat unless your customers are 15 - 22 years old. Figure out what your customers are using and go there. How do you know what your customers are using? Ask them. When you decide to go public and sell your work think about where your customers shop. I know that Tricia and Susan like craft shows so it makes sense that I would do them. Not all craft shows are equal. There is a series of local shows that I love to go to in my city, however I would never sell there. Much as I love them when I look around the crowd is in their 20’s and it’s very much a hipster crowd. Tricia and Susan aren’t there. A friend of mine insists of selling her wares at the local flea market because it’s close to home and cheap. She’s always complaining that people won’t buy her high end (expensive) jewelry. When we discussed her customers I asked her if she thought they would shop at a flea market. She said “well they might if they were bargain shopping.” Do you see the problem? Why spend your time and energy at a place where your customers “might” be? Go where they will be. Every time you think of doing something like putting your work in a store ask yourself, “is my customer there?” Same with putting your work in an online marketplace, or a gallery. If your customer isn’t there it’s not to say that you won’t sell, it’s just that you will sell more where your customer actually is. Your homework this week is to make a list of where you think your customers are. Now make a list of where you are. The sweet spot is where these places collide. Go find your sweet spot. Sale this week - and next! 30% Swa. Bicones! Sale ends on the Wed midnight. In a galaxy farfalle away - there lived a powerful clan of mighty warriors. They doggedly patrolled all the borders, and so they were known as the Kollie Warriors. But then, they all got depressed, and were very sad, and they became known as the Melon-Kollie Warriors - and in their memory - we have - Melon-Cut beads. Actually - these melon cut beads have vertical ridges in them like a pumpkin or other similar melon or gourd. This has long been a traditional shape for fine gemstone beads - think Cartier - but they are fun like this too. These particular Melon beads sport a similar etched and aged appearance to the Etched Farfalle - giving them something of a Buried Treasure aspect. 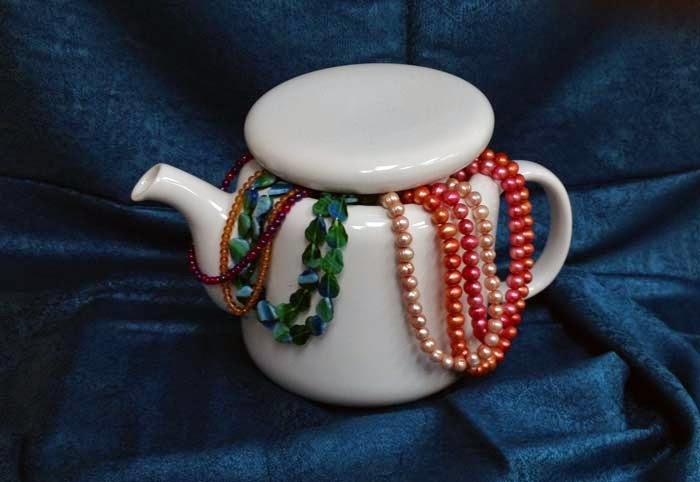 And speaking of Buried Treasure - or Un-buried Treasure - we have more in our un-buried treasure collection - our aged and simulated trade-bead collection. The fun and look of archeological treasures without the dirt, blistering sun, aching back and ancestral guilt. 100% ghost free. Select from the Time Team mix, Toasted Nut, Mossy Frog, or Neptune's Hoard. On a polish it up note - we've also added some new polishing kits to our Jool Tool page - these kits are customized with everything you need for specific tasks! I.e. our enamel polishing kit is tailored to help you put a smooth, highly polished, glassy finish on your finished enamel project, bringing all the wires down to the same level, and polishing them and the enamel to a high, glowing mirror finish! The soft stone polishing kit can take you from rough to high polish for soft stones such as turquoise, opal, and some quartz. And the lapidary hard stone kit will handle the hard stones such as agate, quartz, sapphire and corundum. I had an opportunity to chat with the inventor of the Jool Tool when we were Tucson - and she was just delightful. A very warm and genuine person who invented a tool that solves the frustrations of your standard polishing and grinding tool. The Jool Tool is quiet, features easy to change grinding disks, and, due to the clever design, you can actually see the surface of your work as you are grinding or polishing. A nd speaking of tools - by popular demand - the Beadalon Tying station - for holding your Shamballa bracelets and wrap bracelets while you tie them! 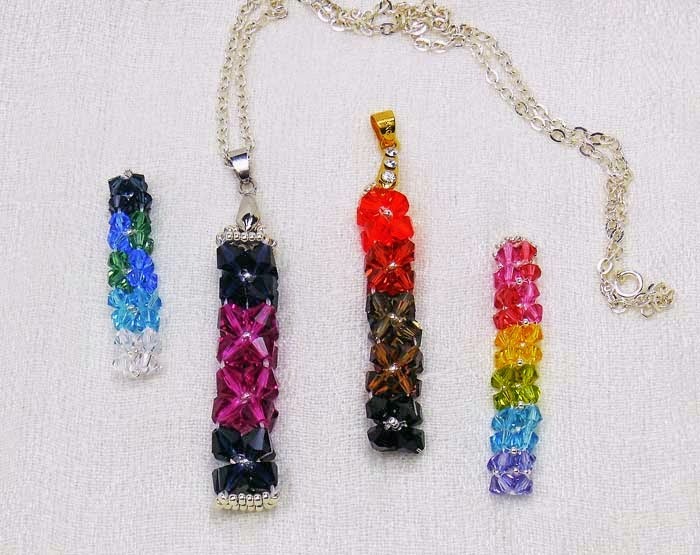 On sale this week - Swarovski Bicones! From petite 3 mm to full-bodied 10 mm - bicones are the like building blocks of inspirationation! 30% off - Just 2 weeks - on sale until Mar 4! Click on a link or an image to go directly to the items, or review all the new items here! Enjoy! When metal clay was first developed in Japan in 1990, it was only available in silver. 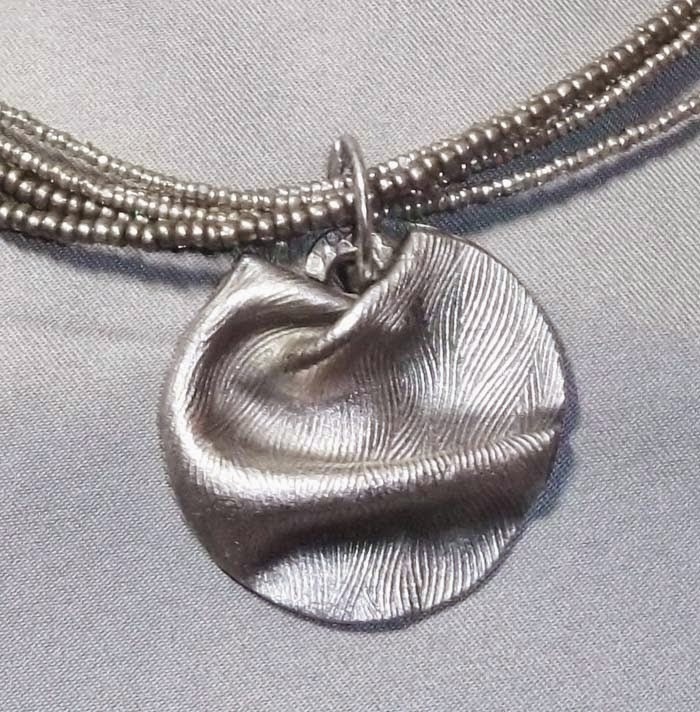 The clay-like pliability of this substance allows users to fashion pieces that, when fired using a torch or kiln, creates metal components that can be used in a variety of jewellery applications. In essence, atomized particles of metals such as silver, gold, bronze, copper or steel are mixed with an organic binder and water and can then be shaped, textured, extruded or pressed into molds. During firing, the binder burns away leaving pure, sintered metal. 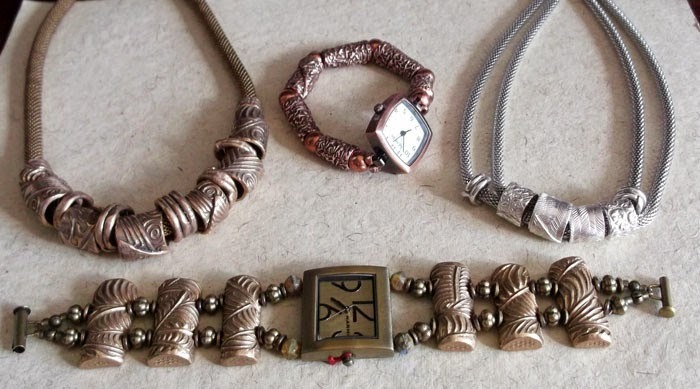 There are several brands of metal clay available on the market, including Hadar’s Clay. Traditional metal clays are sold as ‘lump’ clay, that is, already mixed to a clay-like consistency and sealed in air-tight packages, unlike Hadar’s Clays which are sold in powder form. Water is slowly added to create a pliable clay-like substance that that can be easily worked. Hadar’s Clays are known to take texture well and because of their long open working time, meaning they do not dry out quickly, they’re a dream to use. Unmixed vials of clay have an indefinite shelf life – an added bonus for metal clays! 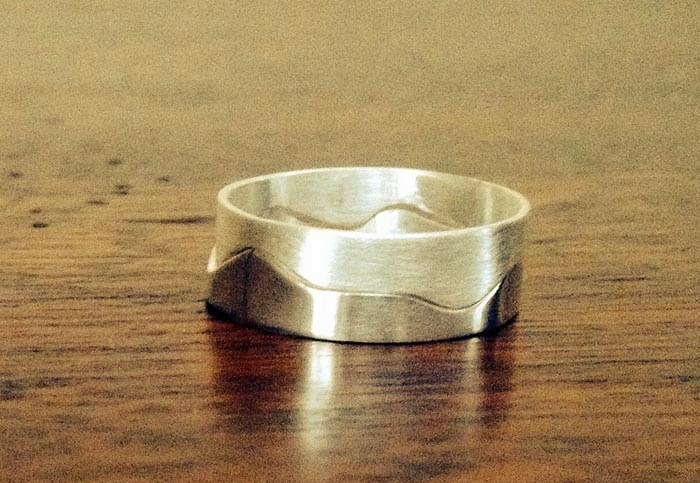 Hadar Jacobson’s initial venture into jewelry-making was through metal fabrication. 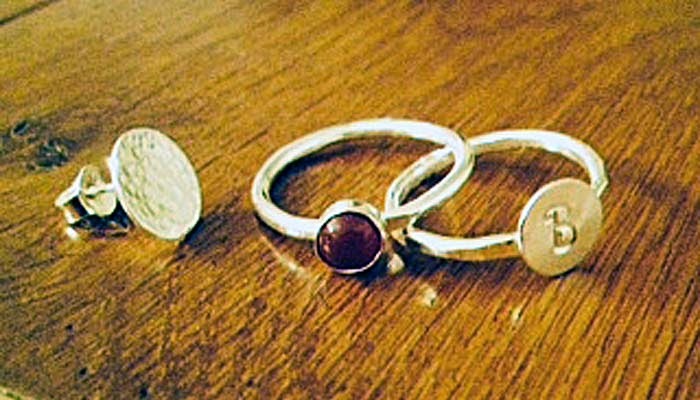 In fact, the ability to work with different metals, and combine them, was one of the things she missed once she had moved to silver clay. 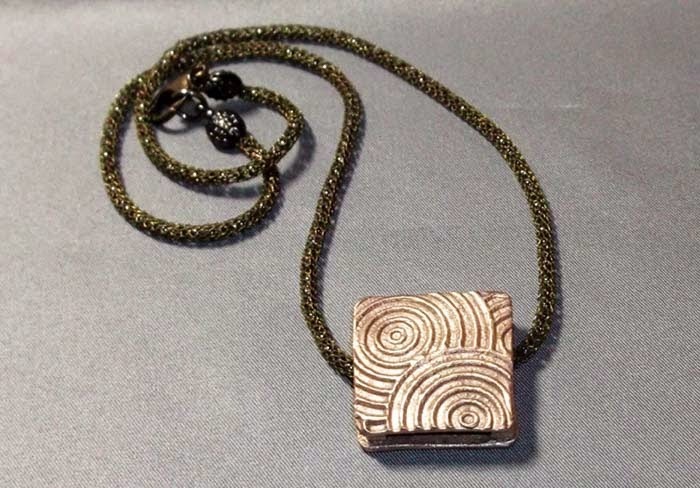 She began experimenting with other metal clays around 2004, when she discovered powdered copper and bronze at a local craft store in San Francisco. Hadar was delighted when bronze clay became commercially available, but was told that copper clay would not be available for another year. She was impatient and her students continued asking her to make it for them…and that’s how Hadar’s Clay came to be! There are a wide variety of Hadar’s Clays available on the market, several of which BeadFX currently carries. In 2013, Hadar implemented an instructor’s Accreditation Program for those wishing to teach how to use her clays. 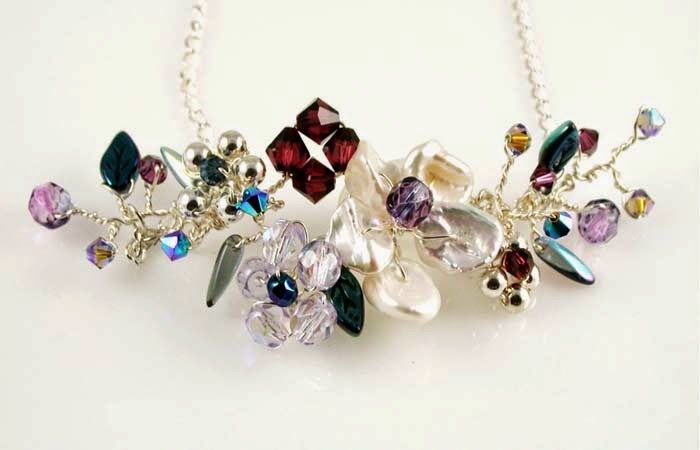 Liz Reynolds is one of only four Canadian accredited instructors and she teaches at BeadFX. Liz is an ardent user of Hardar’s Clay and enthusiastically shares her expertise. Getting Started with Hadar’s Clay teaches students the basics of using Hadar’s Clays including how to properly mix the powdered clay with water so that you have the proper consistency to get the best results. Participants will create various pieces so they can discover for themselves how well the clay accepts texture and allows for draping and shaping. The class also includes all the information needed to fire finished pieces. Metal Clay Finishing picks up where Getting Started leaves off. Students learn how to clean and polish kiln-fired pieces and how to apply patina to highlight texture. The class will also look at troubleshooting any problems students may be having with forming or that occur in firing, as well as determining when a piece has been over-fired or under-fired. For complete information about the classes, including class and kit fees, please refer to the website. Additional classes will be held in the Fall. On Sale this week - HELD OVER BY POPULAR DEMAND! The Business Chat - Step 2: Know who you sell to.